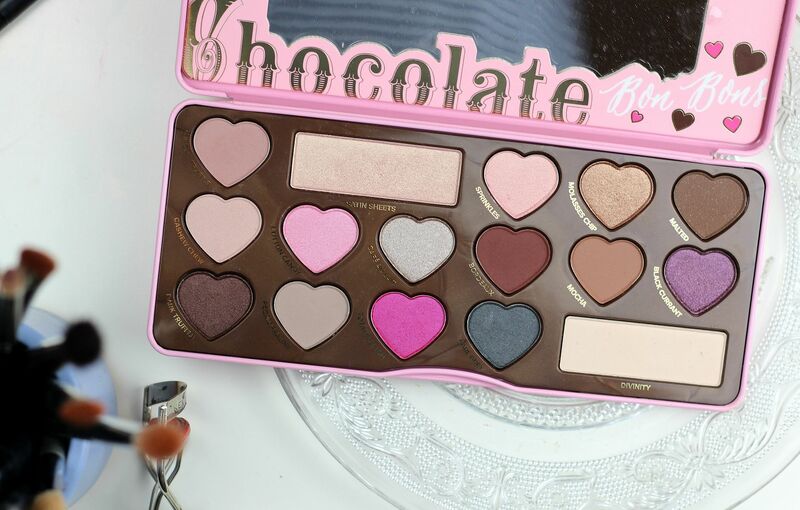 Inside the pastel pink tin, there are sixteen eyeshadows, 14 of which are heart-shaped. C’mon. Overall the shadows are neutral, with there being a pinky theme going on. 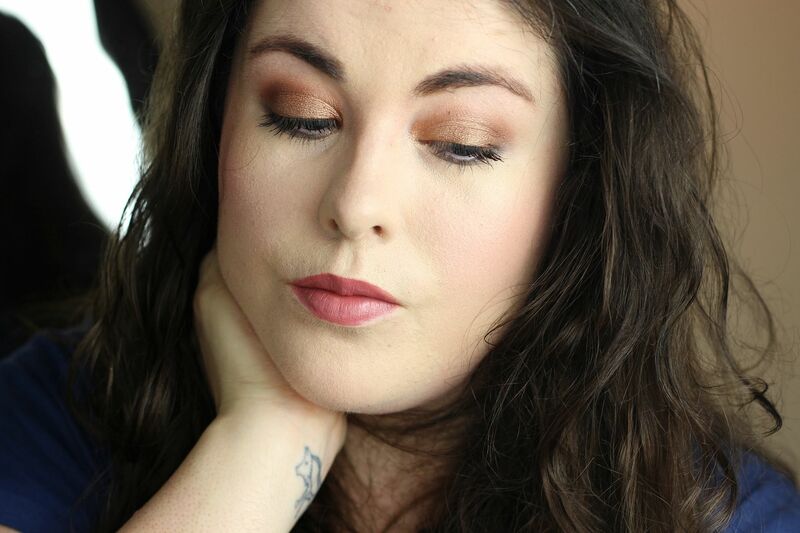 It’s mostly warm toned and has an excellent mixture of both matte and shimmer shades. It does really have every single colour that I would want in it, which is pretty impressive. The formula is consistently a pleasure to use – pigmented, but not powdery. My favourite shades are satin sheets for all over the lid, molasses chip for being bronzed perfection, bordeaux for the crease, divinity to blend, early grey smudged under the lower lashes and almond truffle for everything. In the photo above I’m wearing molasses chip and bordeaux. I use the Too faced primer as well, for reference. 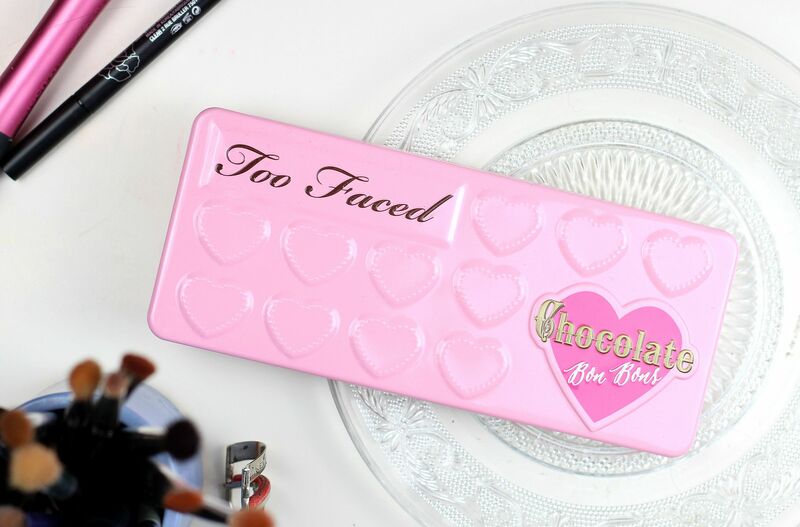 This palette is my top eyeshadow pick from Too Faced – I have tried the original chocolate bar in the past, but the bon bon palette is leagues better – the colours are just so much more complementary and everything fits together more. I don’t know, I’ve just been suckered in by the cute packaging but this palette is such a joy to use (and smell). The fun pinks are so sweet, and the teal has actually been one of my most-used colours – so flattering.